Looking to slip your feet into something a little more comfortable? 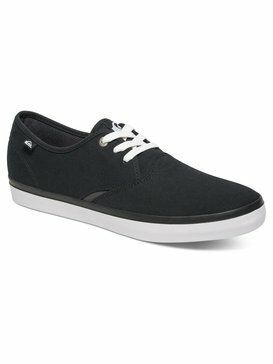 Look no further than our Quiksilver collection of men’s casual shoes and find options for all of the latest style trends in men’s sneakers. 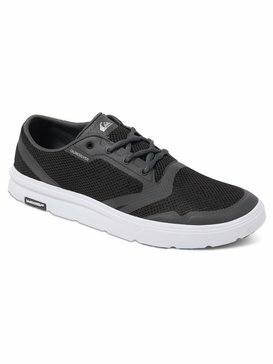 At Quiksilver, our love for action sports keeps us constantly innovating products that will keep up with your active lifestyle and our men’s sneakers are no exception. Your feet are always taking you places and we design quality footwear that will keep you moving quickly to new adventures. 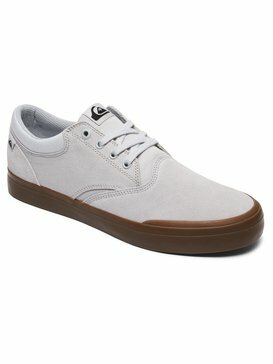 Looking for a cool pair of men’s sneakers? You’ve come to the right place. 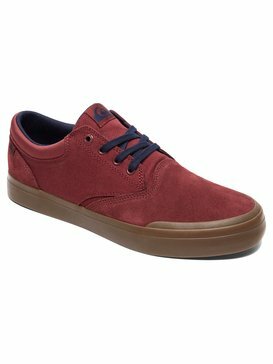 Quiksilver’s selection of men’s casual shoes offers casual sneakers and other footwear styles that will keep your feet styled and supported for any adventure. For those of us who never could remember if the bunny goes around or through the loop, avoid the hassle of laces by choosing your favorite pair of men’s slip on sneakers. Sticking to drier, more urban areas? If you’re in search of a classic pair of casual sneakers, a pair of our men’s high top sneakers, men’s mid top sneakers or men’s canvas shoes will complete any outfit you’ve got lined up. Whatever you’re looking for in the shoe department, we’ve got fitting options for you! Just because they’re on your feet doesn’t mean that your sneakers aren’t an expressive part of your ensemble. 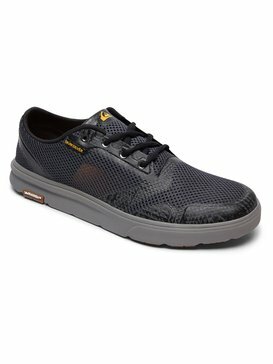 Quiksilver offers a range of casual sneakers so that you can walk with confidence knowing that your shoes show off your personality as much as anything else. 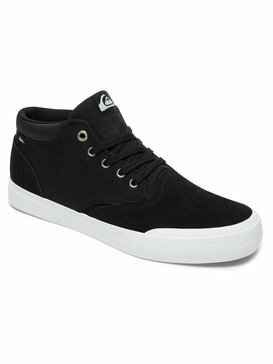 High top sneakers for men are definitely what you need if you like to be comfortable but still look classy, and a pair of Quiksilver’s men’s high top sneakers will no doubt add some trendy traction to your step. 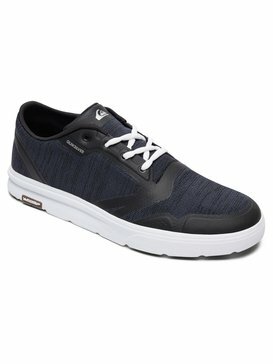 Leather sneakers could also be a cool option if you’re going for a hip and modern look. 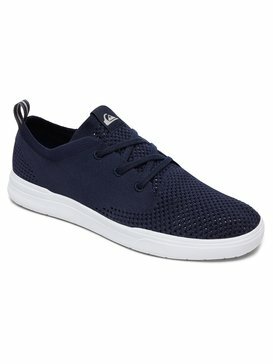 If you’re in need of some men’s casual shoes that are more laid back and on the sporty side, try a pair of our men’s mid top sneakers on for size or even a pair of men’s slip on sneakers to add an extra level of convenience to your on-the-go lifestyle. 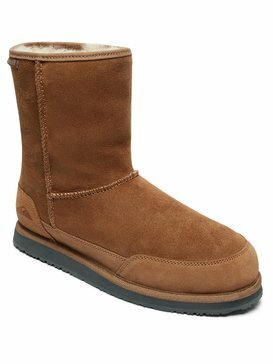 The durable materials and comfortable designs will keep your feet cozy every step of the way. 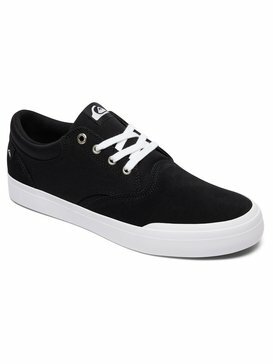 We all step with our own certain swagger, and Quiksilver men’s casual shoes are the perfect way to feel comfortable. Our variety of men’s sneakers allow you to choose from colors and styles that suit your personality. If you like bold color we offer style options for men’s red sneakers that will bring some vibrancy to your step. 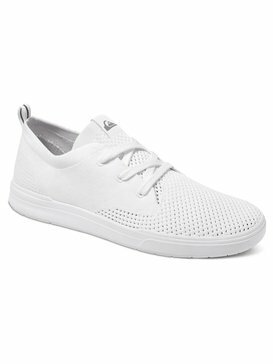 For the more reserved and traditional gentlemen out there, choose from a range of white sneakers for men including men’s white high top sneakers as well as black sneakers for men including men’s black high top sneakers and black casual shoes. No matter what preferences you bring to the street, our sneakers are guaranteed to fit your style and your feet. Don't let your feet suffer any longer, shop Quiksilver's selection of men's sneakers and buy the styles that are right for you. Our online shopping experience is simple and our customer service is ready to answer any questions you may have while you choose your favorite new pair of sneakers.